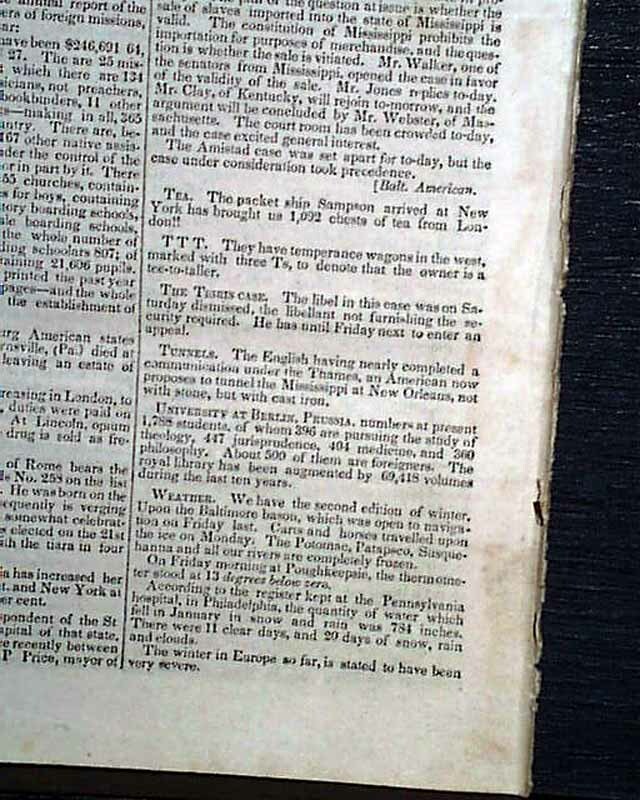 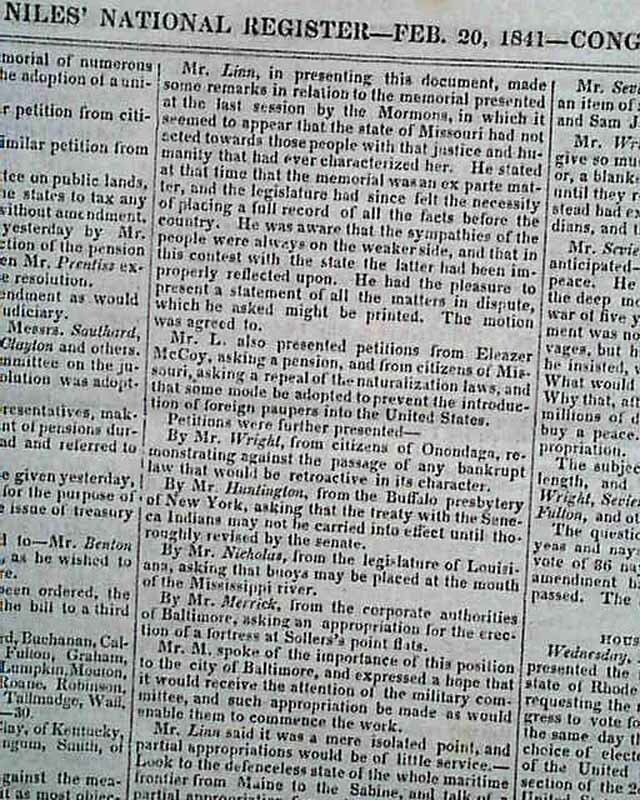 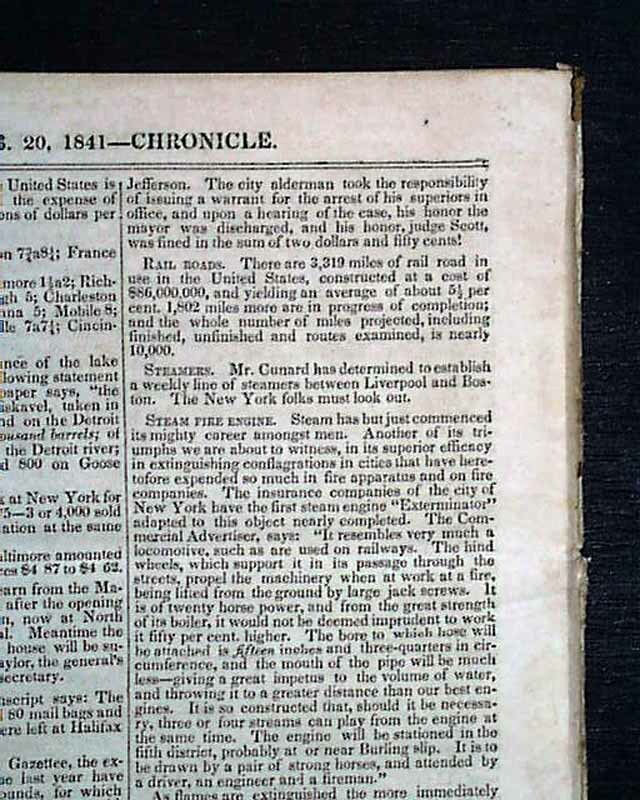 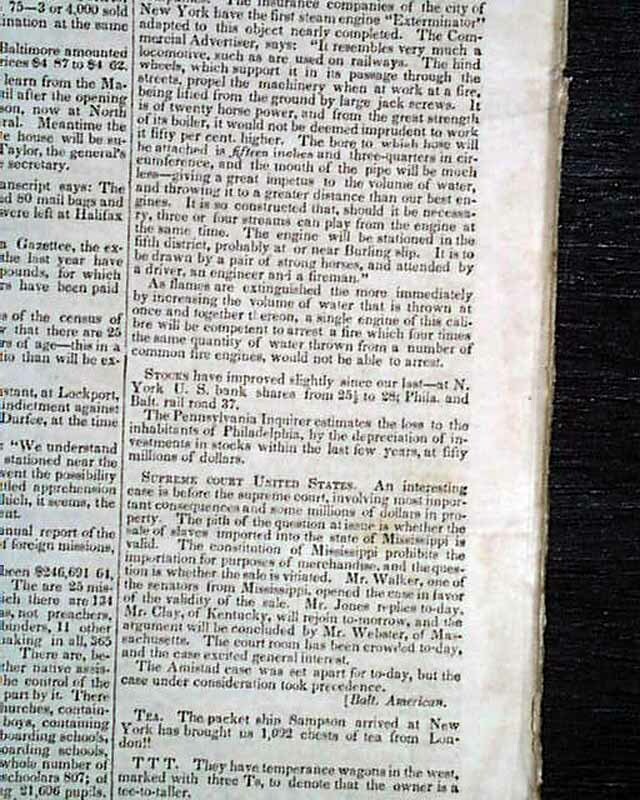 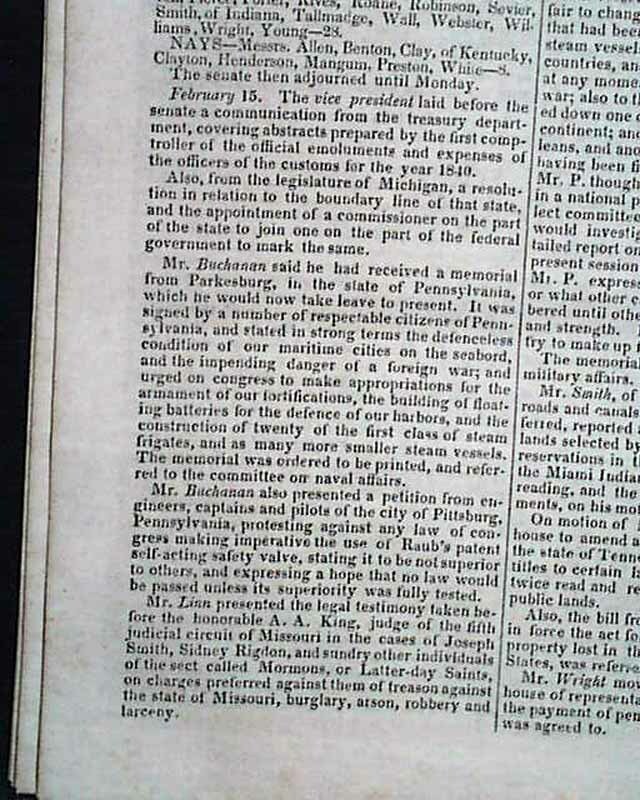 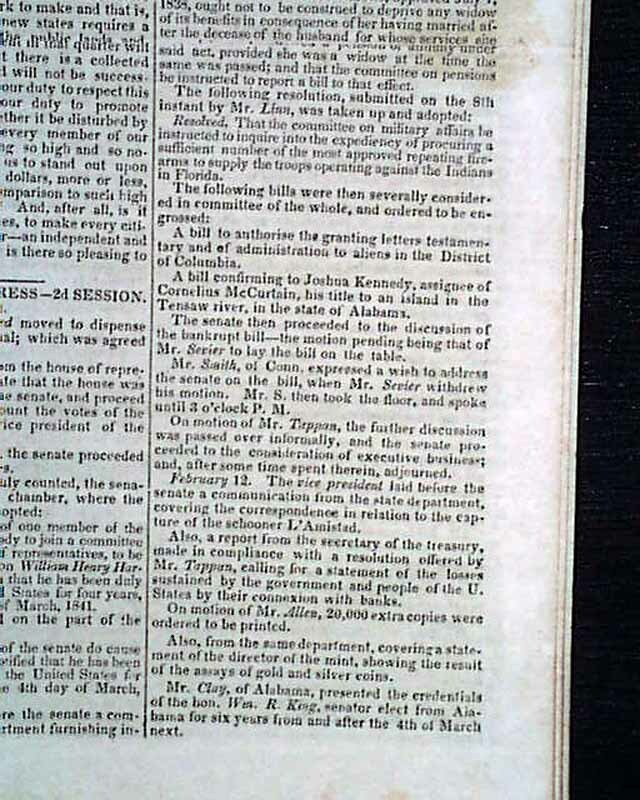 NILES' WEEKLY REGISTER, Baltimore, Maryland, February 20, 1841 An inside page has business of the Senate which includes: "...Mr. Linn presented the legal testimony taken before the...judge of the fifth judicial circuit of Missouri in the cases of Joseph Smith, Sidney Rigdon, and...other individuals of the sect called Mormons, or Latter-day Saints, on charges preferred against them of treason against the state of Missouri, burglary, arson, robbery and larceny..." with more about Linn's presentation and the lack of justice towards the Mormons (see photos for portions). 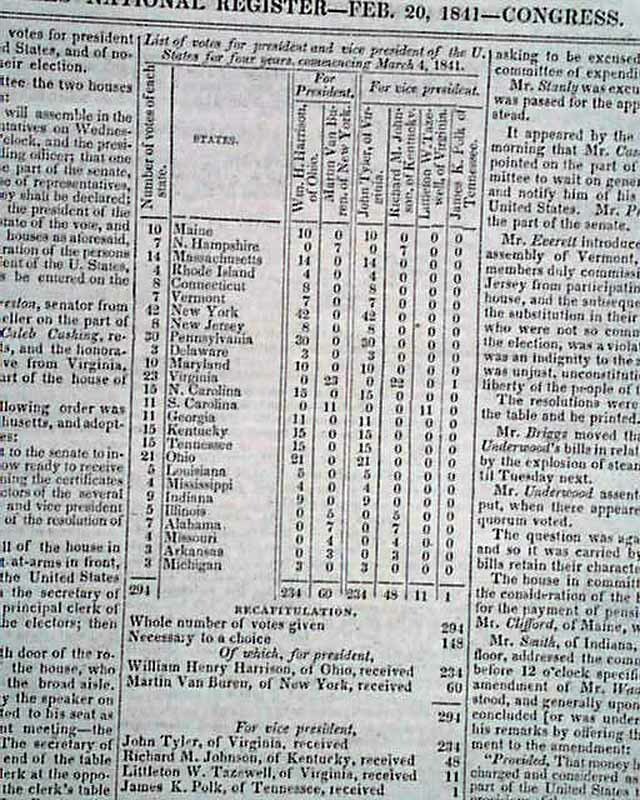 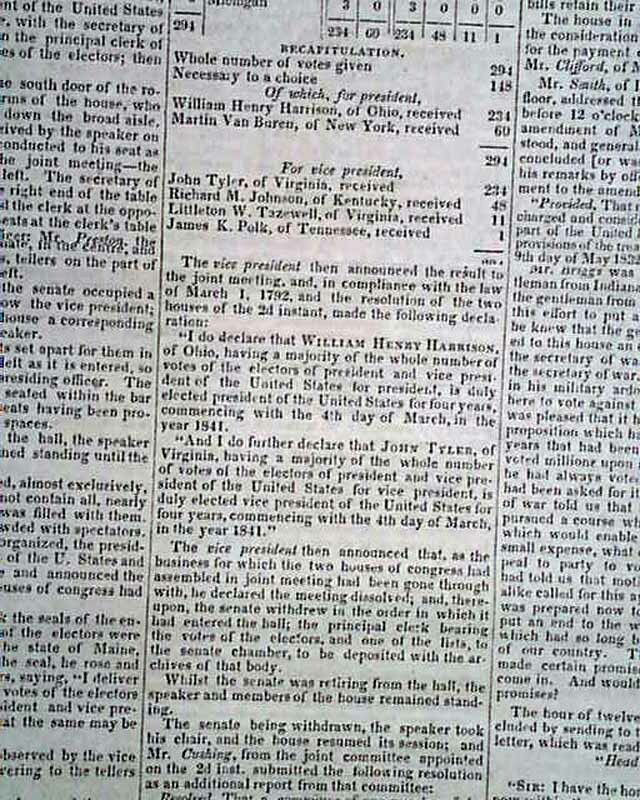 Another page has the official report on the election of William Henry Harrison as President of the United States, with a chart by state (see photos) and the declaration of the Vice President: "I do declare that William Henry Harrison, of Ohio, having a majority of the whole number of votes of the electors of president...is duly elected president of the United States for four years commencing with the 4th day of March in the year 1841..." with more regarding John Tyler being elected Vice President (see). 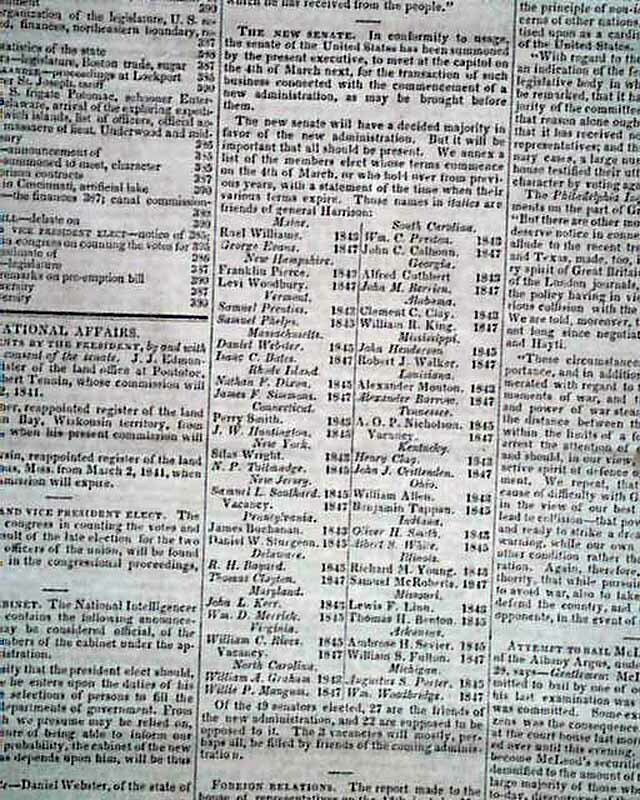 The front page has "Appointments by the President" and the list of: "The New Cabinet" of W. H. Harrison. 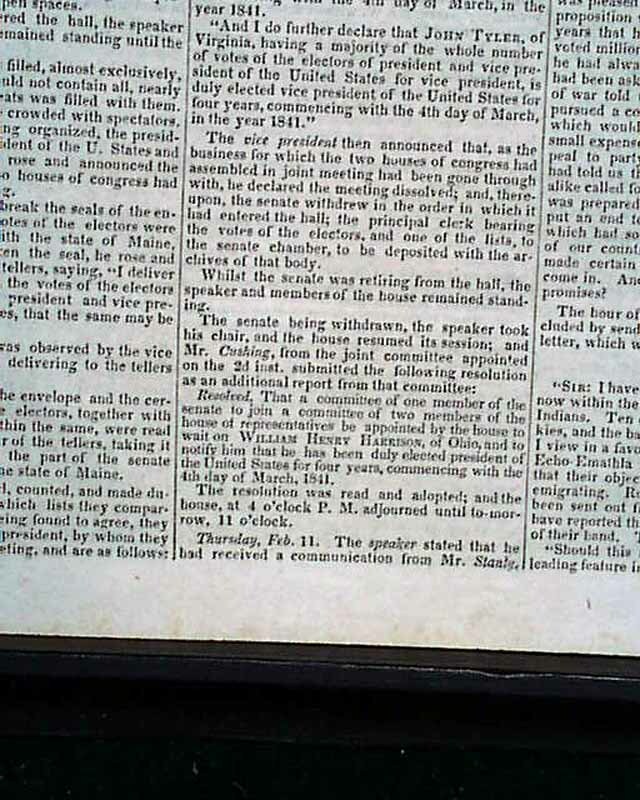 The balance of the issue is filled with various other news of the day including much political content. 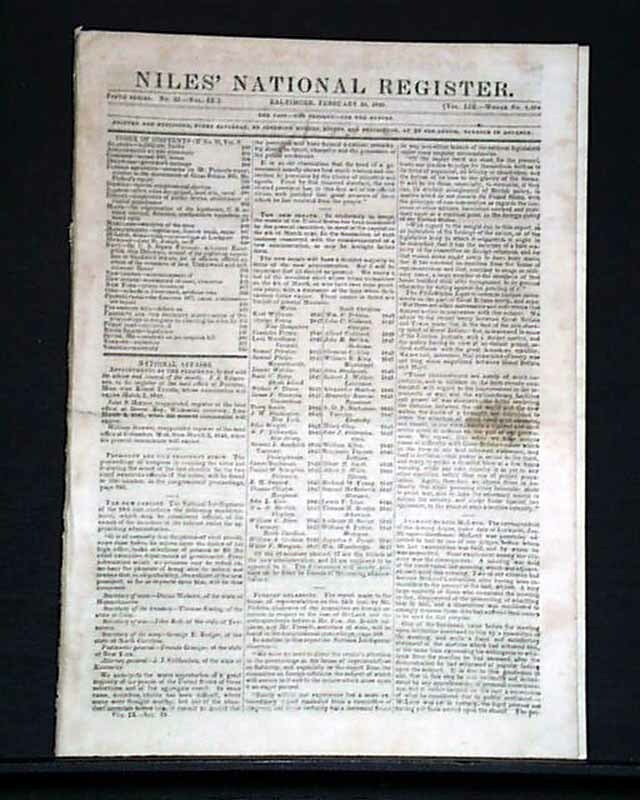 Complete in 16 pages, measures 8 1/4 by 12 inches, even toning, in good condition.